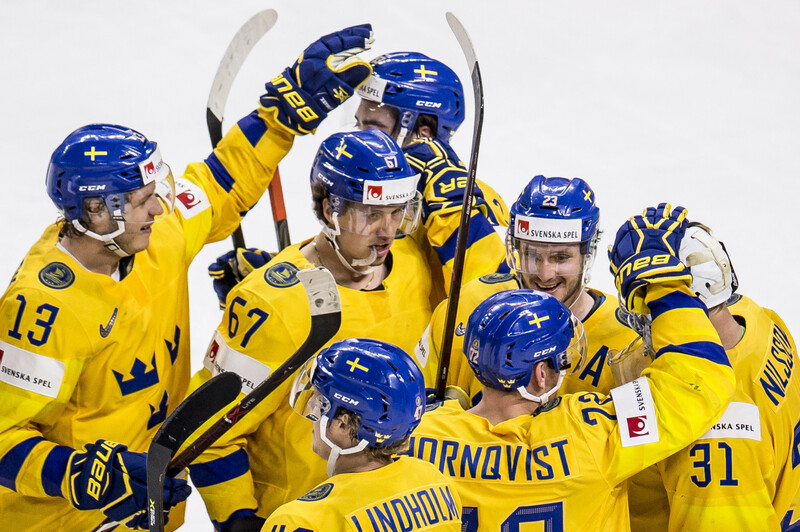 Defending champions Sweden came from behind to beat Olympic champions Russia 3-1 at the Royal Arena in the Danish capital Copenhagen to ensure they finished top of Group A at the International Ice Hockey Federation (IIHF) World Championship. Russia started the match well and took the lead within three minutes of the start through Kirill Kaprizov. They then held onto this lead for the next 25 minutes, but after that, it was all Sweden. Mika Zibanejad put the defending champions back on level terms just under 10 minutes into the second period before Rickard Rakell put them in front for the first time in the match a few minutes later. The match looked like it was heading for a close finish, but Mattias Ekholm quashed any hopes Russia had of getting back into the game by scoring the final goal which gave Sweden a two-goal cushion with less than a minute of the match to spare, ensuring they emerged 3-1 victors at full-time. Elsewhere in Group A, Switzerland beat France 5-1 to book their spot in the knock-out rounds whilst the dead rubber between Belarus and Slovakia ended in a 7-4 win for the latter. In Group B, Finland needed to beat the United States by a four-goal margin to ensure they finished top of the standings. They did just that with goals from Harri Säteri, Mikko Rantanen, Marko Antila, Kasperi Kapanen and three from Sebastian Aho making sure they got the job done with a 6-2 win. Today's other Group B matches saw 26-time tournament champions Canada beat Germany 3-0 and hosts Denmark lost 1-0 to Latvia. Tomorrow is a rest day with the quarter finals set to get underway on Thursday (May 17).